Simply put, Tromso parties. By far the largest town in northern Norway and the administrative centre of Troms county, it's lively with cultural bashes, buskers, an animated street scene, a midnight-sun marathon, a respected university, the hallowed Mack Brewery – and more pubs per capita than any other Norwegian town. Its corona of snow-topped peaks provides arresting scenery, excellent hiking in summer and great skiing and dog-sledding in winter. Although the city lies almost 400km north of the Arctic Circle, its climate is pleasantly moderated by the Gulf Stream. The long winter darkness is offset by round-the-clock activity during the perpetually bright days of summer.The main part of town stretches along the east shore of the island of Tromsoya, linked to the mainland by a gracefully arched bridge. With that being said, the Polar Night Halfmarathon is the place to be!! 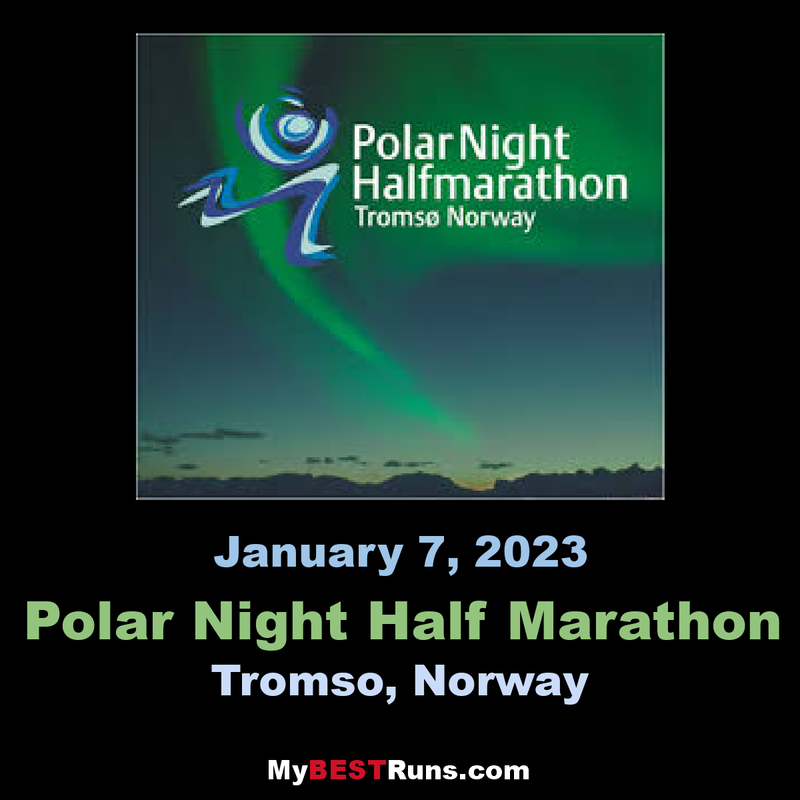 Polar Night Halfmarathon is an annual half marathon running competition in Tromso, Norway. It takes place in the beginning of January, during the Polar night-period, when the sun does not rise above the horizon. It is renowned for its torch-lit route and the chance of running underneath the aurora borealis. Join an Arctic running experience in the polar night! 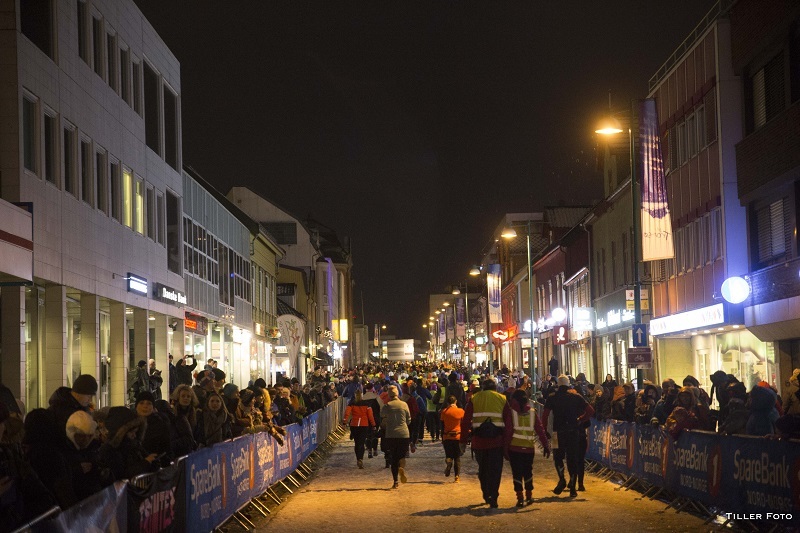 Experience Norway’s largest winter race with approximately 2000 runners from all over the world. Run in the blue, Arctic light that is so special for this time of the year, before the sun rises over the horizon. 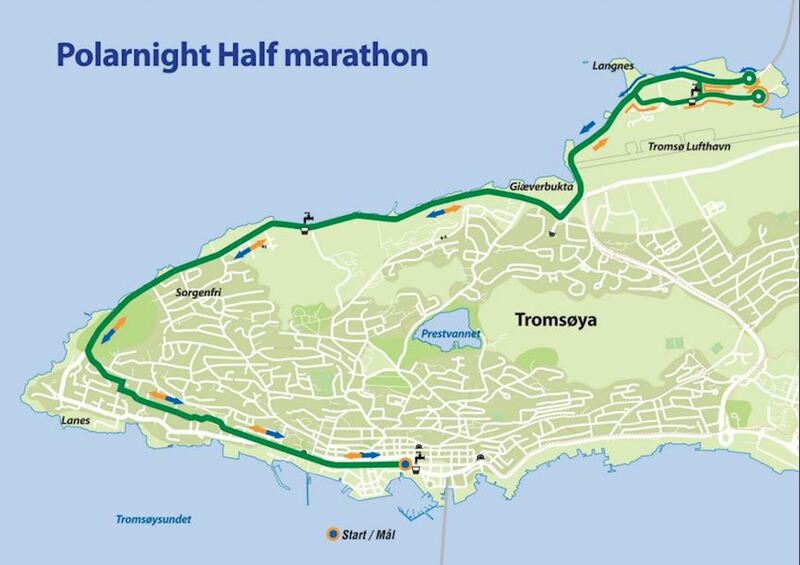 The PolarNight Halfmarathon takes place in the middle of the day- during the polar night. This is also a great opportunity to hunt the Northern lights (Aurora borealis) in our “backyard”. You can choose a distance after your level and ambitions: Halfmarathon, Mørketidsmila (10km) or SATS Mørketidstrim (5km.). Almost 1700 participants, and among these almost 700 foreign runners from 46 nations who had made their way to the high north to experience the polar night and running in arctic conditions. The ones who had traveled to Tromsø for this event were excited about running in wintry conditions with snow, wind and icy ground. The "traditional" discussion about whether to run with or without spikes, was the big topic before the start at the town square. Please pick up your startnumber at Troms¸ City Hall Saturday January 6th between10:00- 14:30. Please bring your e-mail confirmation letter. Late entries can be made if we still have available entries. Half-marathon: men/women 16-17 years, 18-34 years, 35-44 years, 45-54 years, 55-64 years, 65-74 years, 75-years and older. 5Âkm: men/women - all in the same age category. Start and finish in the mainstreet of Troms¸, Storgata. The course goes out to the airport area following footpaths. Here it turns, and follows the same route back to the city center. If the weather allows it, the course will be marked with burning torches. Please ensure that you bring warm running clothes (wool) and a hat/cap. It might be windy and the weather conditions can be quite cold. January the average temperature is - 5 degrees Celcius. If the course is icy and slippery it is recommended to use running shoes with spikes for a better grip. The award ceremony will take place at 19:30 at Scandic Ishavshotel. Polar Night dinner after the Ceremony. Every finisher will receive a medal at the finish line. 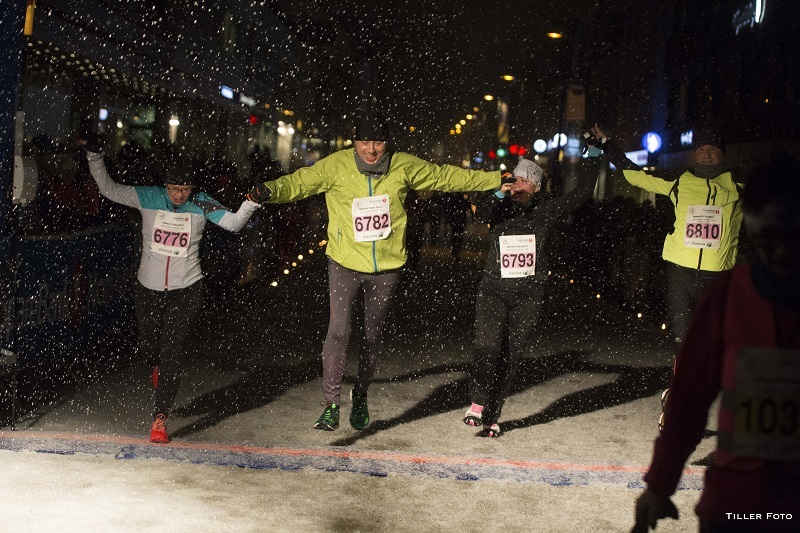 Prizes are awarded for the three fastest in each age category for Polar Night Halfmarathon. For the10 km race the top three female and men runners will be awarded. For the 5km race there will be timeing, but non results. All runners will get their time. The city Tromso is situated above the Polar Circle and is renowned to be a faboulous place to see the norther lights. The polar night period in Tromsø lasts from November 21st until January 21st. During this time of year we only have a few hours of daylight.